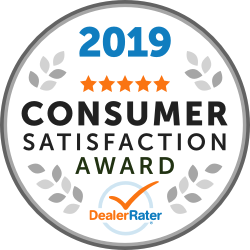 Frank Myers Auto Maxx has been awarded the 2018 DealerRater® Consumer Satisfaction Award. This is the 2nd time they’ve received this prestigious honor. This is a recognition auto dealerships can earn by delivering outstanding customer service as rated by online consumer reviews. DealerRater, the car dealer review site for consumers, created the Consumer Satisfaction Awards to enable online car shoppers to instantly spot car dealerships that provide high-quality customer service. “To win this award once is an honer. 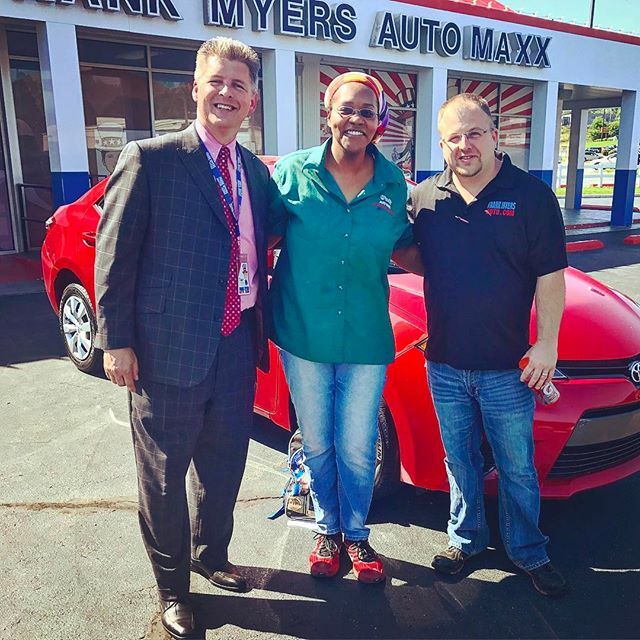 To win it twice is a testament to our Team and their dedication to providing an amazing experience that car buyers will remember,” said Tracy Myers, owner of Frank Myers Auto Maxx. “They don’t provide great customer service to win an award. They do it because it’s who they are. They realize that they are here to serve our customers and our neighbors in the community. When they do it selflessly, they are rewarded handsomely. 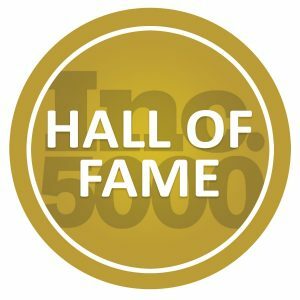 Frank Myers Auto Maxx, LLC has been named to the Inc. 5000 Hall of Fame for being recognized as one of America’s fastest growing companies for 5 consecutive years. The Winston-Salem, North Carolina-based used car dealership received the honor at the 37th Annual Inc. 5000, an exclusive ranking of the nation’s fastest-growing private companies, announced this week. Annually, Inc. magazine ranks the most prestigious and privately owned companies in the nation. The list represents a unique look at the most successful companies within the American economy’s most dynamic segment— its independent small businesses. Companies such as Microsoft, Dell, Domino’s Pizza, Pandora, Timberland, LinkedIn, Yelp, Zillow, and many other well-known names gained their first national exposure as honorees of the Inc. 5000. Companies on the 2018 Inc. 5000 list have showcased staggering growth, with a three-year average of 538.2%, and a median rate of 171.8%. Inc. 5000 companies have accounted for 664,095 jobs over the past three years. 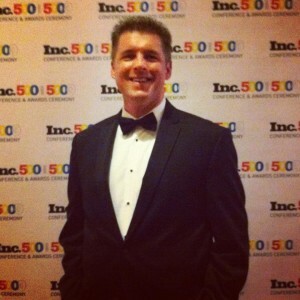 The Inc. 5000 list, which began in 1982, has become the hallmark of entrepreneurial success. The 2018 list is Inc. Magazine’s 37th annual ranking. When searching for your next new-to-you car, why settle for anything less than the best? At our Winston-Salem used car dealership, you don’t have to: we were voted Best Used Car Dealership in the Triad from Yes! Weekly Magazine! This isn’t surprising to the thousands of shoppers we’ve assisted over the decades who are welcomed like family regardless of their circumstances. So what’s our secret? One of them is accessibility. We’re very aware that a car is an absolute necessity in our neck of the woods. That’s why we offer a selection of programs designed to help everyone get behind the wheel. From our Everybody Rides program to our Money Back Guarantee, we make shopping with us a smart decision that every savvy shopper can make. Winston-Salem shoppers can expect friendly expert advice from our used car dealer, rather than pushy sales tactics. Our focus is entirely on getting you the best car for you, which is why Yes! Weekly has named us the Best Used Car Dealer in the Triad. 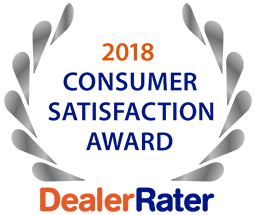 Approachable, friendly and understanding service couples with an extensive inventory to offer a next-level shopping experience that bests the many used car dealerships in the area. Finally, when’s the last time you associated car shopping with fun? That’s one of our missions at Frank Myers Auto Maxx. Our brightly colored facilities, waiting area with plenty of amenities, and showroom music keep our location a pleasant place to be. Gone are the days of dragging your feet and wiling away a day at a dealership. Shopping with us is a breeze. It’s been our legacy for decades, and we hope to continue the same welcoming atmosphere for decades more. An award-winning shopping experience awaits you when you visit Frank Myers Auto Maxx. We look forward to assisting you when it’s time to purchase your next new-to-you car, truck, van, or SUV. Inc. magazine today ranked Frank Myers Auto Maxx #3006 on its 35th annual Inc. 5000, the most prestigious ranking of the nation’s fastest-growing private companies. The list represents a unique look at the most successful companies within the American economy’s most dynamic segment— its independent small businesses. Companies such as Microsoft, Dell, Domino’s Pizza, Pandora, Timberland, LinkedIn, Yelp, Zillow, and many other well-known names gained their first national exposure as honorees of the Inc. 5000. The 2016 Inc. 5000, unveiled online at Inc.com and with the top 500 companies featured in the September issue of Inc. (available on newsstands August 23) is the most competitive crop in the list’s history. The average company on the list achieved a mind-boggling three-year growth of 433%. The Inc. 5000’s aggregate revenue is $200 billion, and the companies on the list collectively generated 640,000 jobs over the past three years, or about 8% of all jobs created in the entire economy during that period. The 2016 Inc. 5000 is ranked according to percentage revenue growth when comparing 2012 to 2015. To qualify, companies must have been founded and generating revenue by March 31, 2012. They had to be U.S.-based, privately held, for profit, and independent—not subsidiaries or divisions of other companies—as of December 31, 2015. (Since then, a number of companies on the list have gone public or been acquired.) The minimum revenue required for 2012 is $100,000; the minimum for 2015 is $2 million. As always, Inc. reserves the right to decline applicants for subjective reasons. Companies on the Inc. 500 are featured in Inc.’s September issue. They represent the top tier of the Inc. 5000.